A few days ago Candid Cupcake shared with you how mason jars are very in right now. She is so right- they seem to be all over Etsy! Mason jar covers, Mason jar candles, and of course, Mason jar cupcakes. 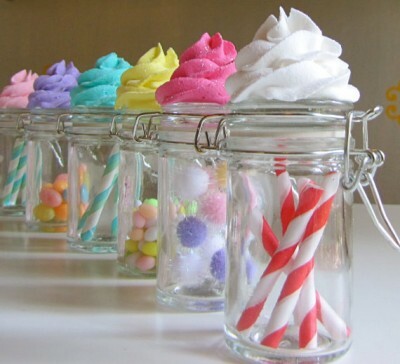 And I know these aren’t technically Mason jars but how amazing are these faux icing topped glass jars? For $28 you get a set of 6 colorful creations made by 12 Legs Curiosities. Perfect for cupcake in a jar or as a favor at a wedding or party. Love, love, love! I have been a big Hostess fan ever since I was a little kid. There is something special about opening up one of their plastic packages and enjoying that overly sugary sweetness. Yum! 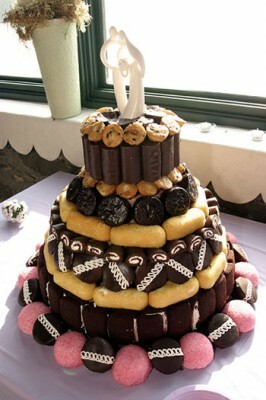 While surfing the Hostess website today I found the coolest wedding cake ever! It took the groom only one hour to make this cake from Twinkies, Cupcakes, Ding Dongs, Ho Hos, Suzy Q’s, Sno Balls and Mini Muffins. They also had several recipes that use the desserts to make new and different creations. I so want to try this Black Forest Dessert that is made with a whole package of Hostess cupcakes! Wedding season is already in full swing and I am happy to report that wedding cupakes are just as popular as last year. Whether it is possibly cheaper price or the ease of sharing the cupcakes with your guests, wedding cupcakes seem to be winning out over wedding cakes. 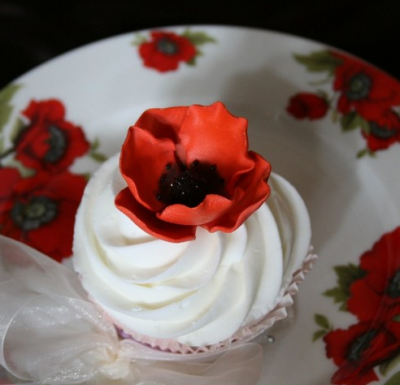 If you are also considering cupcakes for your nuptials, I found a few sites that might help you in your planning. Wedding Cupcakes is a site filled with beautiful cupcake arrangements and also has an interesting section about wedding cupcake etiquette. 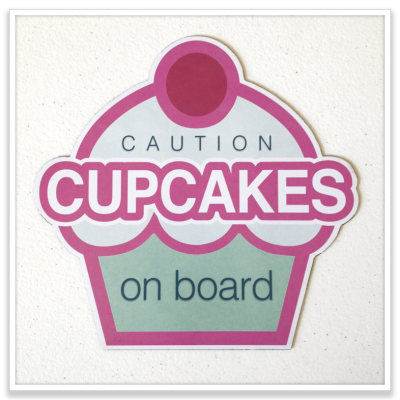 And if is supplies you need, then The Smart Baker can has everything from cupcake towers to parchment paper to to car magnets to help the cuppies get to the reception safely. FYI- did you know that our own talented All Things Cupcake contributor, Heather Lynn, is also wedding photographer? Check out her amazingly sweet wedding photos and portrait shots on her Vintage Grace Facebook page. How awesome would it be to have a cupcake expert photograph your own wedding cupcakes?! Planning a wedding? Check out these amazing beauties! These pictures were taken at a wedding in Australia by Flickr’s mutedsinger. This is the bouquet I would like to catch! Cupcakes Gourmet in Pennsylvania is offering you all a fabulously delicious way to propose to that one very special person in your life this Valentine’s Day. 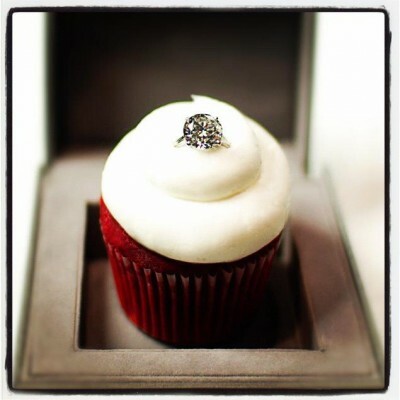 Picture a delicious red velvet cupcake, topped with cream cheese frosting – but look again – is that a eight-carat diamond engagement ring perched in the frosting? Why, yes it is! Cupcakes Gourmet is offering this perfect diamond encrusted cupcake for Valentine’s for $55,000! Any girl who gets this cupcake this Valentine’s Day is one lucky gal! With cupcakes growing in popularity over the past few years, many people have been substituting cupcakes for cakes at large functions. 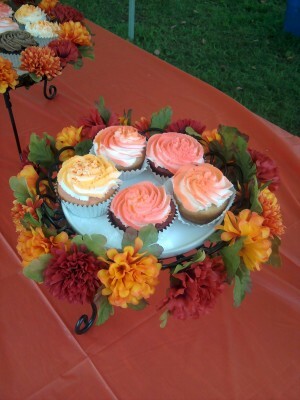 Weddings, birthdays, anniversaries- all with cupcakes as the main dessert and centerpiece. And that is where cupcake towers have blossomed in popularity as well. They display your cuppies without taking up a lot of space. Our giveaway this week is from Penguin Cupcake Towers. 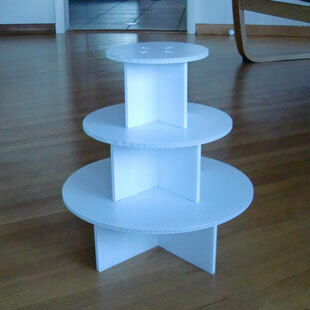 One winner will get to choose either the Humboldt or the Emperor Cupcake stand. 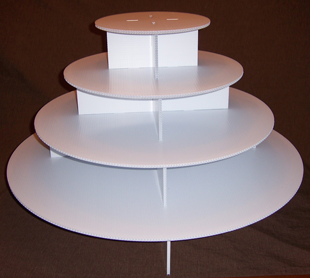 The true beauty of these stands is that they are made to be decorated to match your event theme. Spray paint it, cover it with ribbon, flowers, fabric, glitter- whatever you want! To enter this giveaway, click on the comment area below and tell us how you would decorate your cupcake tower if you won. One winner will be chosen on Monday, September 19th. Thank you Penguin Cupcake Towers! 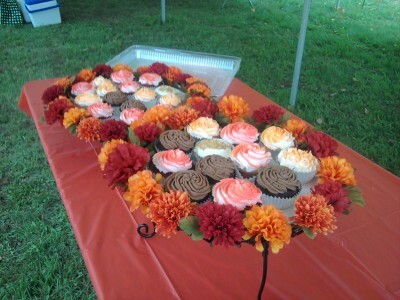 I went to a gorgeous wedding the other day and was treated to gorgeous homemade cupcakes. Check them out!